11 1/8 L x 5 3/8 H x 4 3/8 D in. Top-opening box purse screen printed in black and bright red on wood with a dark stain finish. 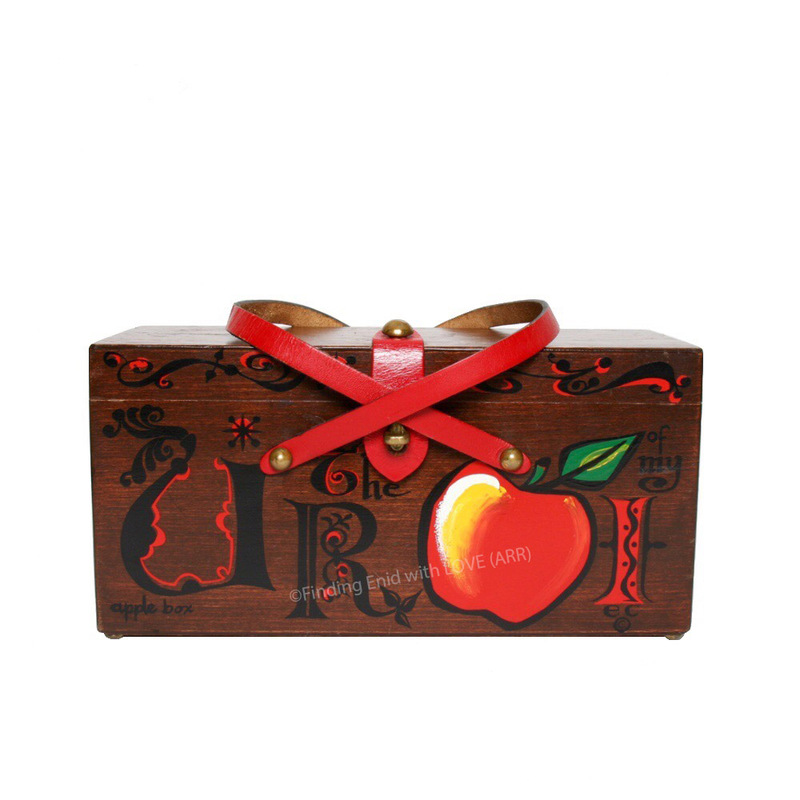 Playfully replaces words in the idiom "you are the apple of my eye" with embellished letters and a colorful apple. Two leather handles finished in bright red match leather clasp detail. Alternate title, "apple box," is printed in hand-styled script on right front face of lid. One of several variations Enid Collins designed on this theme. Apple Box; alt. title "U R the [apple] of my I"
Reg. no. GP51349; 06/20/1966; "Decorative lettering & apple"
One of several versions Collins designed based on this theme. Puns were a standard Enid Collins motif.